This week’s Friday finds features just one important favorite. 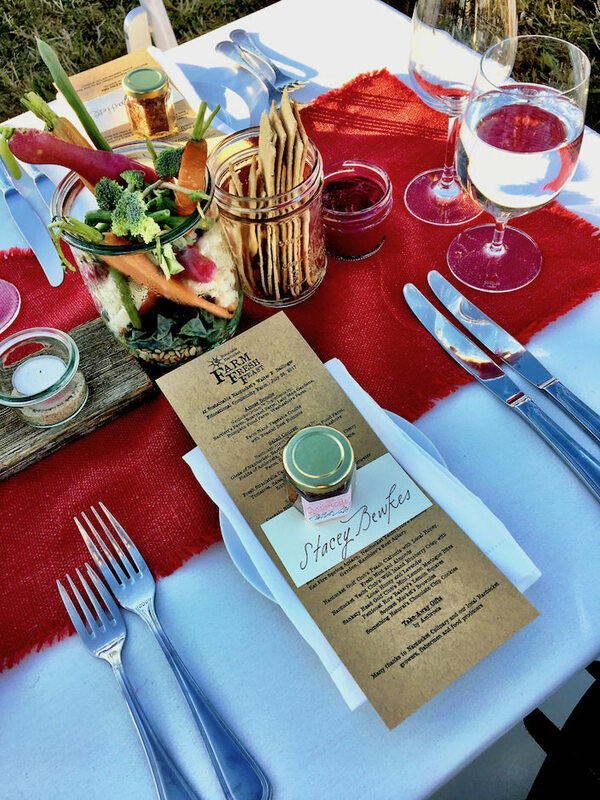 This week I attended Sustainable Nantucket‘s Farm Fresh Feast. 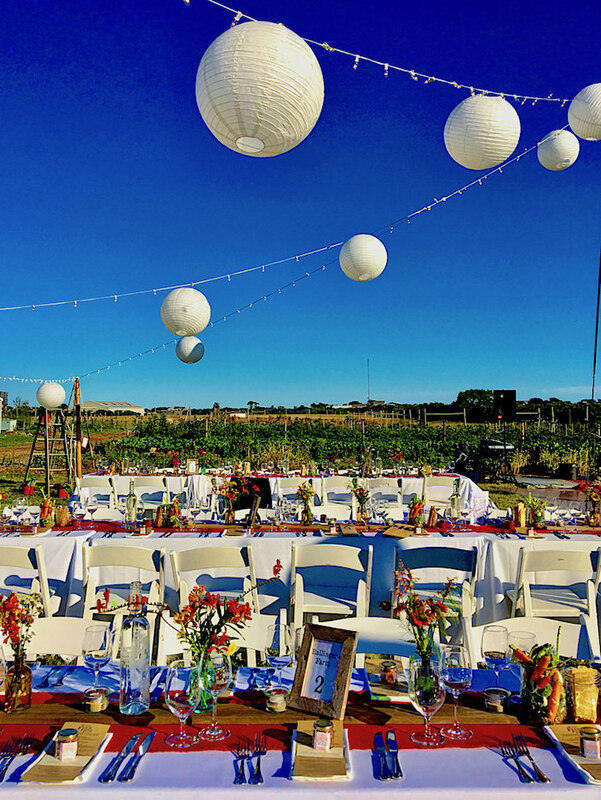 Held in the beautiful fields at the Walter F. Ballinger Educational Community Farm, it was a festive and delicious evening celebrating all this wonderful organization accomplishes. 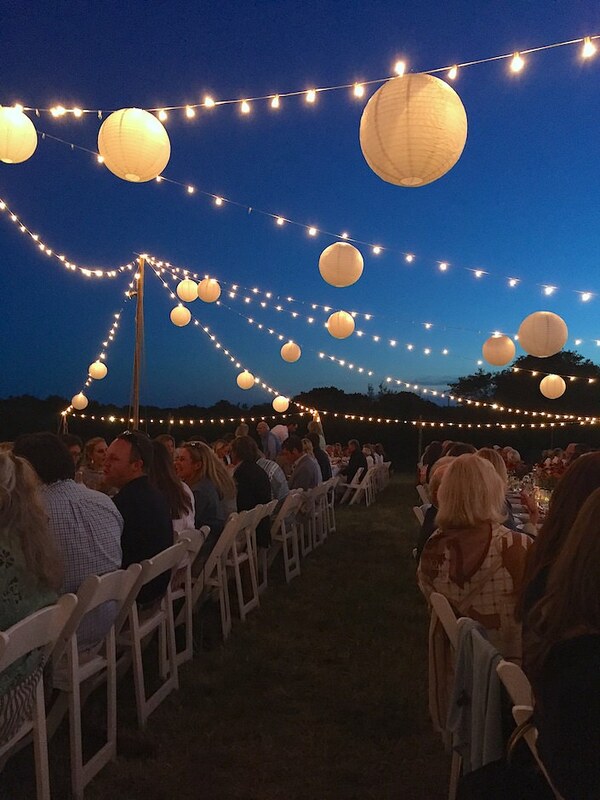 As Nantucket has grown, many organizations have sprouted up to enhance the social, environmental and economic values of the community while protecting the island’s very special character. 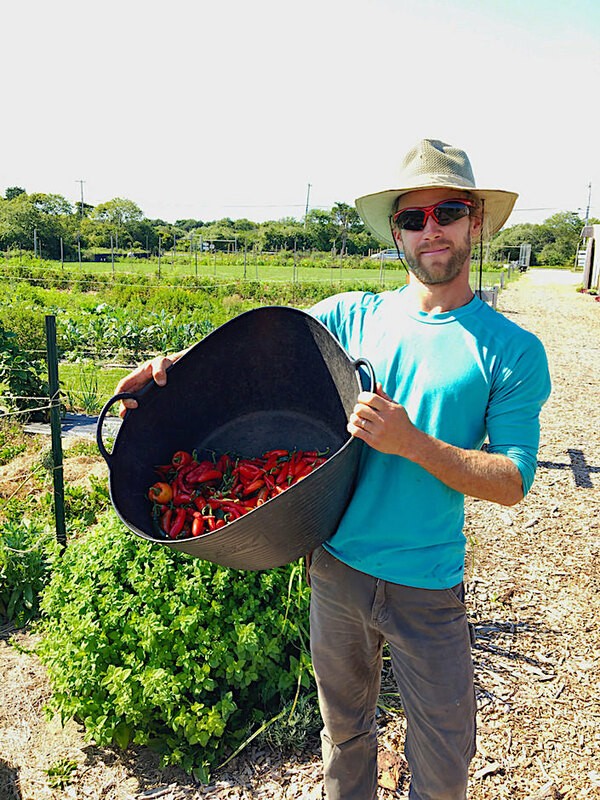 Sustainable Nantucket not only helps to support and raise awareness of the local family farms and small-scale growers but offers a variety of year round programs and events to help build a more locally based, self-reliant food economy. 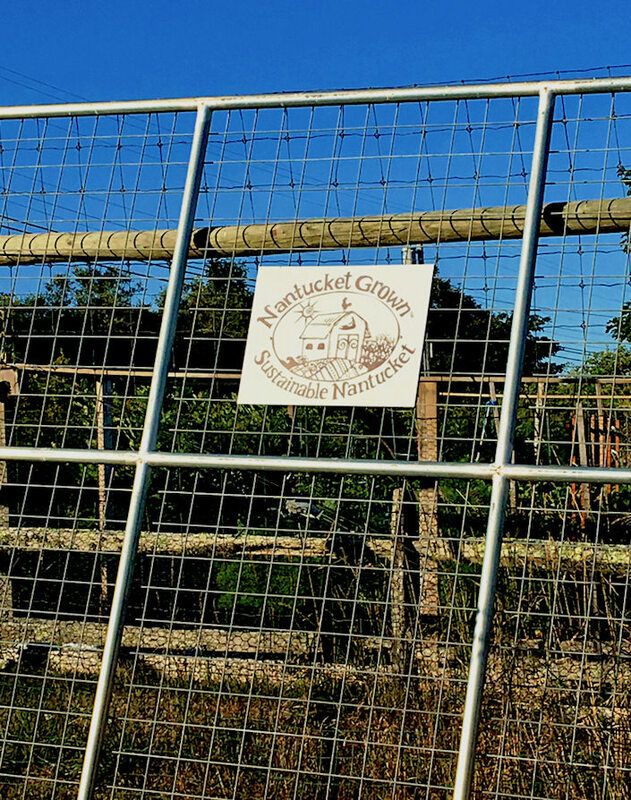 At the Walter F. Ballinger Educational Community Farm, in its third season, Sustainable Nantucket’s Community Farm Institute is growing. 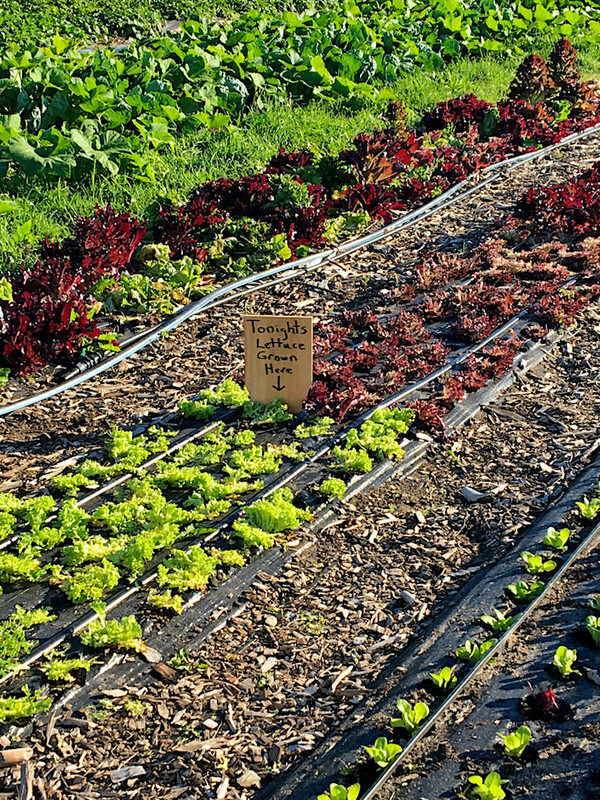 Part of a nationwide movement of incubator farms, the CFI helps prospective farmers learn how to grow fresh produce using organic and sustainable methods. Sustainable is the step beyond organic – a way of growing food without damaging the environment or threatening human health. It is the highest level of farming in an ecologically and ethically responsible manner. Dylan Wallace, above, a mentor farmer, both grows and teaches. One of his ventures, Ambrosia, with a shop downtown specializing in artisan chocolates & organic teas, grows many of their products here. Their delicious chili salt (seen on the menu at top) was the gift of the evening. Thanks to both government and private funding, Phase II of the community farm is under way and will include new improved infrastructure, a Food Forest and Bee Sanctuary as well as a public education program with a new Outdoor Classroom including hands-on workshops and lectures. Part of the pollinator garden is already in place below. If you have eaten at one of Nantucket’s many wonderful restaurants you have, in all likelihood, already supported Sustainable Nantucket. Their NantucketGrown™ Campaign encourages eating island grown food. 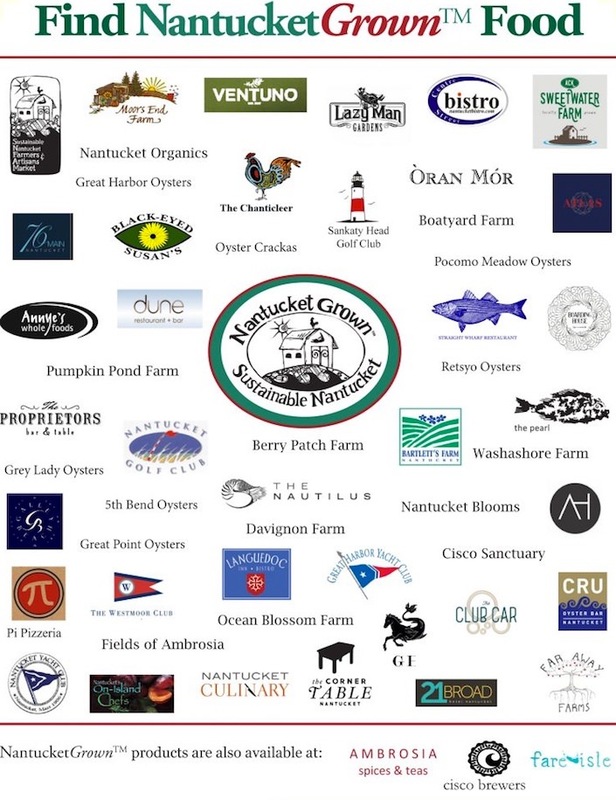 When you see the logo at a restaurant or food establishment, you can be confident that at least some of the food they serve is grown, processed and distributed on Nantucket. 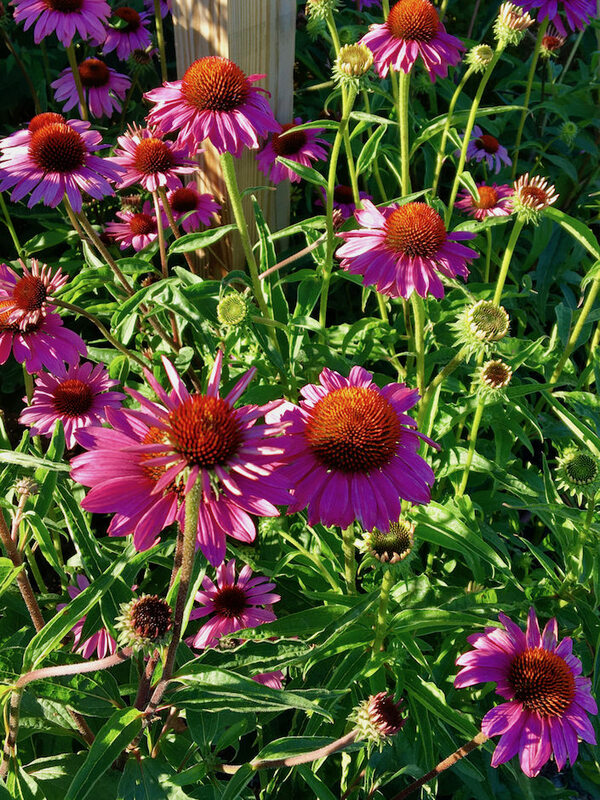 Sustainable Nantucket is also responsible for the weekly Farmers and Artisans Market you may have seen downtown at Cambridge and North Union Streets every Saturday morning from June 10 through October 14. All vendors are seasonal or year round residents of Nantucket, and all goods sold are grown or produced on the island. 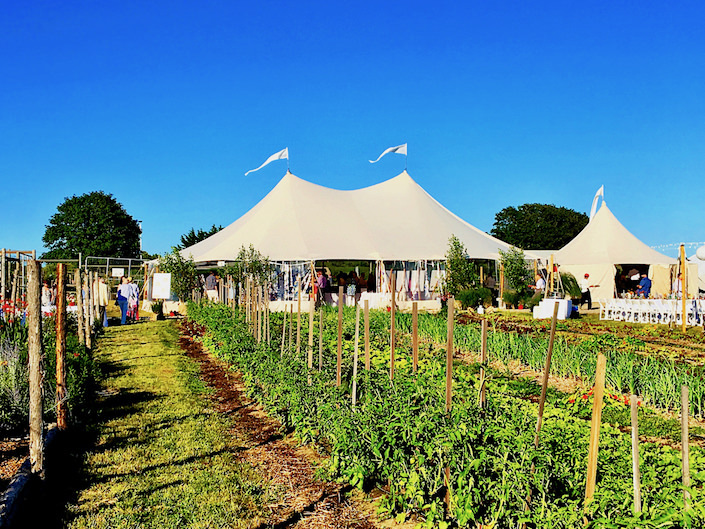 They also produce a Farm to School Program and in the fall will have their second NantucketGrown™ Food Festival. 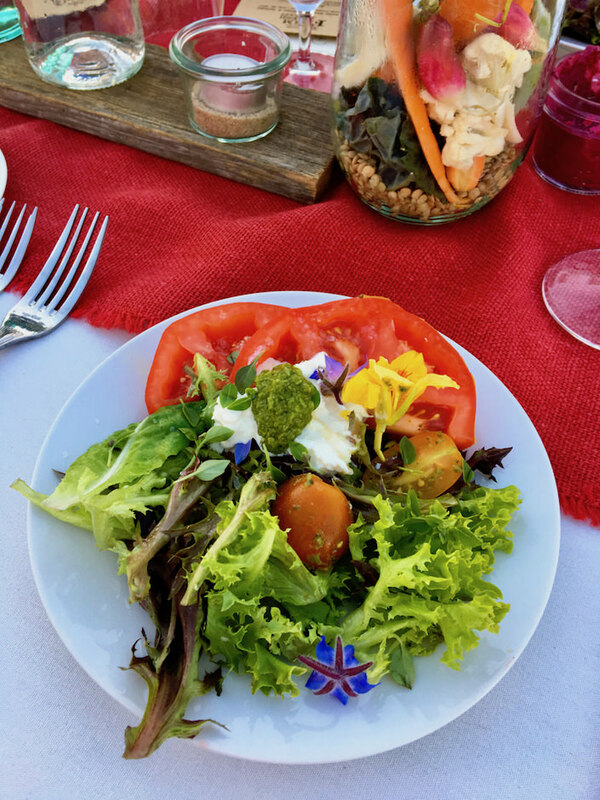 If you’re on island, you can purchase the farm’s produce at their new honor-system vegetable cart during farm hours and every Wednesday from 3:30 – 6:30 pm (weather permitting) during July and August you can visit the Farmers Market at the front of the farm. 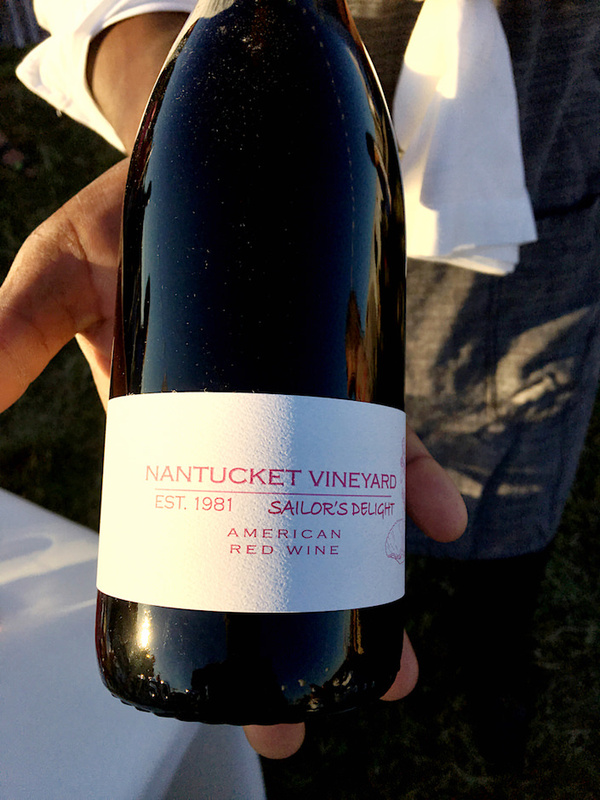 I was so delighted to be a part of a marvelous evening celebrating the Nantucket community and sustainability. 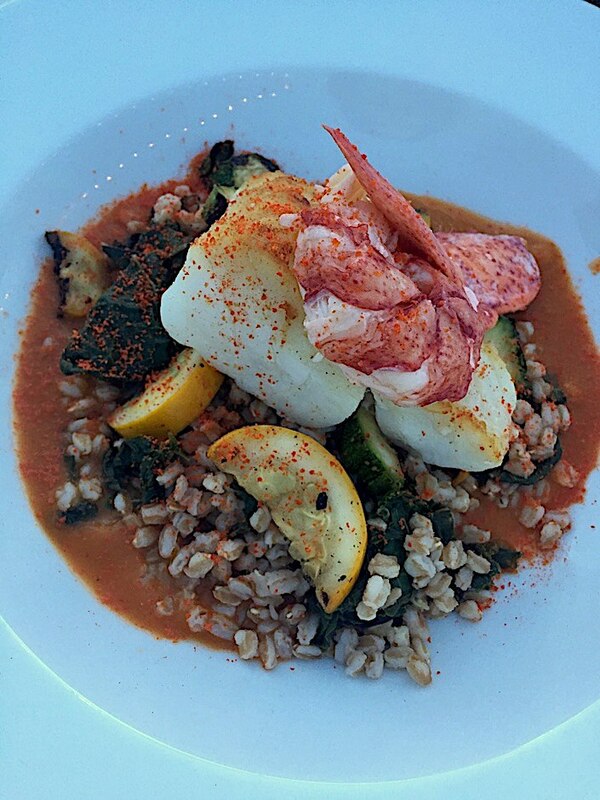 This entry posted in food and drink, garden, learning, Nantucket, travel. 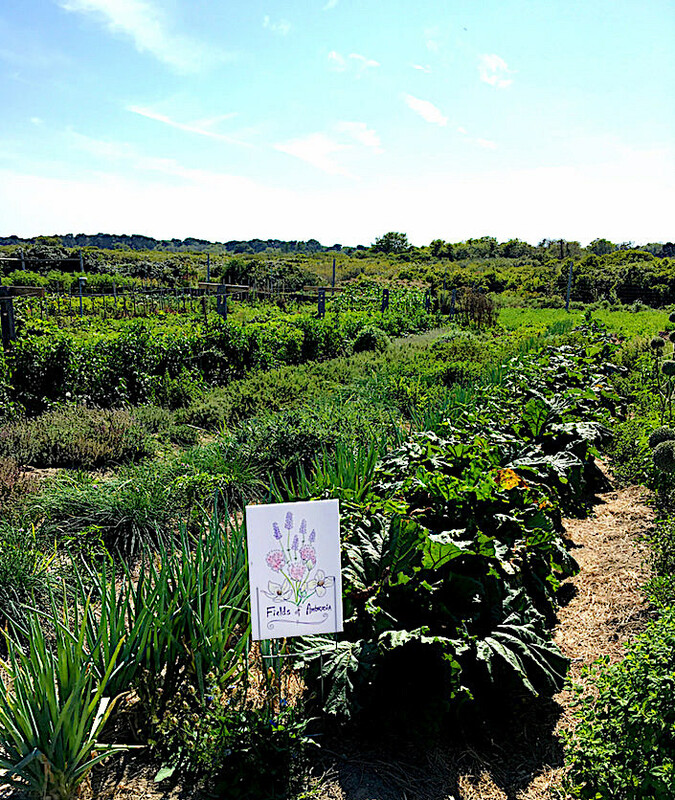 Entry Tags: farm to table, Nantucket, Nantucket restaurants, organic food, sustainable farming, Sustainable Nantucket Bookmark the permalink. True community. And a glimpse of a bit of heaven in these troubled times. Thank you!! place 30 miles out to sea. Have been to Nantucket 2 times and loved it . It is my goal to visit again and enjoy this wonderful produce. It is truly a special island. I live in Ohio and we have many local organic farms in the area and Farm to Table Markets. I am so thankful that we have all this available locally. Thank you for posting your Nantucket finds. It is such a special place to visit very enchanting . A special place in time! 80 queries in 0.501 seconds.